In the home improvement industry, wooden floors often split people’s opinions for a variety of reasons. This can often stop people from even contemplating installing one in their home, even though they can often be a very stylish and durable option. However, where there is a complaint - there is always a solution and so I’m here to tell you that regardless of the reservations you have about wooden floors, there is no reason not to see them as a viable option. These resolutions should help you to see that this type of flooring is not more trouble than it’s worth and instead offers a sturdy, sleek and hygienic surface for a modern or rustic interior. Complaint – Wooden floors dent and scratch too easily. 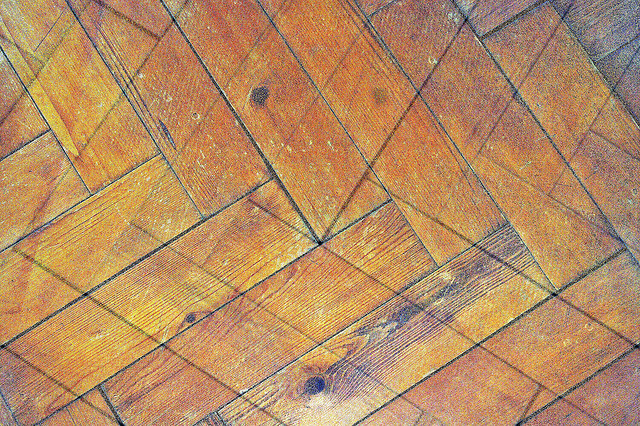 Solution – This may be the case if you start to neglect your floor but is no different to the wearing out of a carpet. To prevent furniture damaging your floor, make sure that it is equipped with rubber or cloth ‘feet’ so that it is not it direct contact with the floor. Also, place door mats at the entrances to your home to encourage people to wipe the little bits of gravel and stones off their shoes as these are the most likely causes of scratching. Complaint – Wooden floors are damaged by mopping. Solution – This is a silly as saying ‘my carpets gone soggy because I mopped it’, it’s inevitable. If you start to see scuffs on your floor then it is best to just buff these out with a dry cloth. If you really feel that it needs a mop taken to it then be sure to only use a small amount of cold water as anything else may warp the wood. Complaint – Wooden floors are expensive to maintain. Solution – If you are planning on attempting to keep your floor in the same condition as the day you installed it then yes, it is going to be very expensive to maintain. You could go down the route of buying every advertised cleaning product that you see from buffing brushes to ‘Larry’s luscious lacquer’ but in reality this really isn’t necessary. A simple vacuum once a week is sufficient when combined with a yearly, more thorough clean. You’ll soon see that this is a lot easier than trying to clean a carpet, especially if you have pets. Complaint – Wooden floors can be slippery and cause accidents. Solution – This is often true with most laminate type flooring so it is best not to go for this option if you have small children that might be running around. However, there are plenty of other types of wood flooring that are not as slippery such as hardwood or real wood. Investing in a mat or rug with a non-slip material on the reverse is also a good idea or failing that – there’s always slippers. Complaint – Wooden floors lack a homely feeling. Solution – This ultimately depends on what you would class as homely but I do agree that some wooden floors can make a room feel cold and unwelcoming. Conversely though a lot of hardwood flooring, especially in a dark, earthy colour, can really add warmth to a space. Also, having a wooden floor almost allows you to use it as a blank canvass and create your desired look on top of it. This can be done by adding stylish rugs or matching furniture to really build on the feeling that a wooden floor can create. It’s part of what make us wonderfully unique as human beings that we all have different preferences, so there will always be arguments for and against such an opinion splitting subject. However, for any home improvement enthusiast out there who is so keen to overlook a wooden floor, think of the pros as well as the complaint driven cons. This article is written by Chris Mayhew on behalf of N and S Flooring. They offer a variety of different flooring solutions for any home including laminate and hardwood flooring in Bristol.